The other night I attended a lecture by author and journalist, Greg Campbell. Greg is the author of Blood Diamonds, Flawless, and Road to Kosovo. I first met Greg earlier this year at the Northern Colorado Writers Conference where he presented a workshop on writing narrative nonfiction. Since then, I have tried to attend every one of his classes or lectures because he’s such a master of nonfiction. For this particular lecture, Greg focused on a journalistic approach to short nonfiction, having been in that field for many years. Greg’s book-length narrative nonfiction is certainly something to marvel at—he knows what he’s doing. 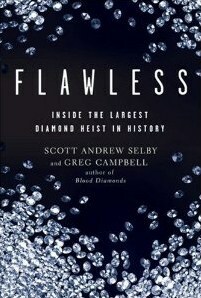 Flawless was probably one of my favorite nonfiction books I’ve read in a long time—it’s fantastic. Tuesday night’s lecture focused on writing short, yet compelling nonfiction. To define short, we’re talking 800 to 1500 words; 2500 at the most. Anything shorter, it’s tough to get too “compelling,” but nonfiction at that length, is typically newspaper articles—so you need just enough room for the facts. It could pose a challenge for me considering many of the stories in my book will have to be between 300 and 700 words. I’m up for the challenge. The following are pieces of sage advice from Mr. Campbell. (I paraphrased) Take notes. Know your audience. This isn’t just your readership. When it comes to short nonfiction, knowing an editor’s specific style is the first thing to consider. For example, USA Today and The New Yorker may have the same readers, but the types of work they publish is very different. Know your editor first. Know your story. What is your story? And what makes it important? How does it differ from other published stories on the same subject? Become a storyteller. Write your story in a letter to someone who knows you well. Tell them your story how you would in a conversation. The recipient will be able to tell you where it doesn’t sound like you, where the holes are, etc. It comes down to voice. You can either put yourself in the story or not. You have to decide if it’s necessary. Can the story and its characters speak for themselves? If you have a message, trust your reader to get it without beating them over the head with it—it’s distracting. Responsibility to get it right. It’s a no-brainer; get your facts correct. And forget being “objective.” Be fair and accurate. Greg stresses the importance of knowing enough about your topic to defend it, because you may just have to. Blog a lot. It’s great practice. It’s that simple. 8. Jump in with both feet; don’t go wading out. Open with a scene from the middle of the story. Drawing the reader in may require starting somewhere other than the beginning. 7. Use really good quotes—and lots of them. They create mile markers in your story, and what’s not compelling about a good quote? 6. Be declarative when you write. Take out the “he said” and replace it with “he thought.” Taking out the attributes puts the reader into the heads of the characters. 5. Pay attention to word selection. Pick words you actually use; that are colloquial, conversational, the way you would speak. Avoid jargon and using “favorite” words. Throw in some well-played metaphors and similes. 4. Pay attention to sentence selection. You can be “colorful” but don’t do it randomly. Plot them out and make sure they are a part of your vernacular. They need to settle into the background, not take center stage. 3. The inverted pyramid. So picture an upside down pyramid in your mind. The top third is the newsworthy stuff. The middle are details, and the bottom is background/filler. That’s your typical newspaper article. For a bit longer nonfiction, overlap another inverted pyramid on the bottom third of the first pyramid. That’s where you hit the reader with another surprise. Greg called them “electric shocks.” Add another pyramid. These “shocks” keep your readers interested throughout. 2. Find a way to wrap up the story by bringing the reader back to the beginning. This a common technique good journalists use to remind the reader where they’ve been. It brings them back full-circle and shows them that you constructed it that way instead of writing it willy-nilly. 1. Write with confidence! Greg couldn’t stress this enough. This comes back to knowing your topic inside and out. Complete mastery and clarity of the topic establishes you as an authority on the subject which will give you confidence to write about it. And confidence = compelling. So there you have it. Check out Greg’s blog and learn about his forthcoming book on medical marijuana, out next spring. Categories: Writing Process, Writing Workshops | Tags: Blood Diamonds, Flawless, Greg Campbell, narrative nonfiction, Road to Kosovo, short nonfiction, writing | Permalink.